Make an annual contribution to RMHC. 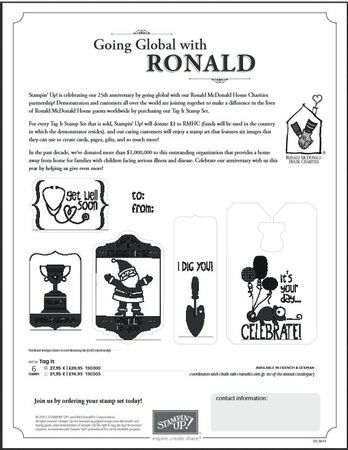 Design an exclusive stamp set each year; a portion of the proceeds from the sale of that set will be donated to the organization. This year's set is Tag It. Donate hand-stamped items created by our demonstrators to Houses in the countries where those demonstrators live. 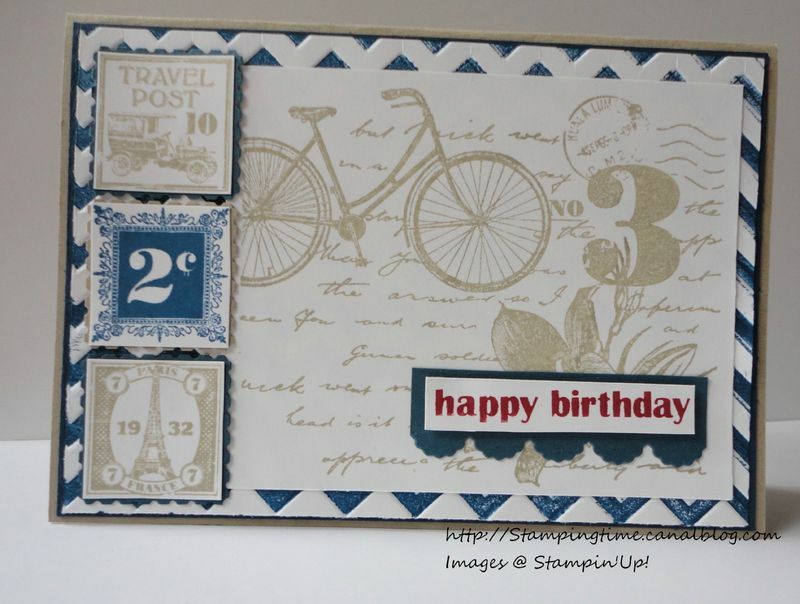 Would you like to contribute to this donation by purchasing this year stampset? This is really simple, contact me and I will help you get your hands on theses great stamps. You will not only have a new fantastic stampset to play with but you will also help families to stay together during theses very long and unfortunate moments when they have to stay at the hospital for a very long period.